We Are Spurs, Not Like All The Rest. Or Are We? All in all, not a bad week for Tottenham Hotspur. Sunday’s win, squeaky and muddled though it was, left Spurs fourth in the league, only 3 points behind an Arsenal side playing the best football of the Premier League season. The following Wednesday we staggered through into the League Cup quarter finals, on penalties but we’re there. Players on the edge of the side, either through injury such as Kaboul, or because like Kane and Lamela they are not quite ready, are getting game time. Despite this, the debate around the club this week has been about what’s gone on in the stands, not on the pitch. Read the papers or spend any time at all on social media and you would discover a different narrative. The manager has been critical of the crowd, blaming our anxiety and negativity for below par home performances. On social media, there has been a level not merely of frustration at the quality of some of our football but a disproportionate outpouring of anger. There are many reasons for this unwelcome phenomenon. No single explanation predominates but all are linked to the distorted priorities of the Premier League and the Champions League. High prices exclude large sections of a population hard pressed to justify the vast expense of watching Premier League football as living standards continue to fall. Those who do attend are treated poorly by the clubs who genuflect before the twin false idols of profit and Sky TV. These and other factors have created a sense of alienation amongst fans who experience a growing distance between themselves and the team they support. This is more than just whinging or not turning up at matches. Under demands for entertainment and success lie deep emotional attachments that last a lifetime. Caring about this bloody club is by far the most prolonged relationship I have ever had and forms the only consistent thread from boyhood to man. I am an only child, my parents died many years ago, I have divorced and have no connection with the area where I was born and brought up. Yet since I was five years old, I am Spurs. Since I was 10, I go to Spurs. It’s not about football, it’s about identity. Alienation is something to feel. It affects our attitudes and behaviour but it’s not tangible. We can’t touch it, often we can’t even identify it. It goes by other names, like anger, frustration, despondency, resignation, but it is very real. Mostly it co-exists alongside the joys of being a supporter – the unsurpassable highs of winning the big matches, the friendship, being part of something. It’s a sort of cognitive dissonance, holding two apparently contradictory ideas at the same time. I know the problems, feel the change in the Tottenham air but remain endlessly fascinated by the game and this club. When I sing Tottenham til I die, I mean it, and so do most of you reading this. Yet alienation lingers. Once established, it’s hard, impossible probably, for it to disappear completely. Some socialist theorists would say it is an intrinsic element of social relations under capitalism. That’s how difficult it is to shake. Most of the time it stays dormant, occasionally bursting through the thin core that keeps it under control. Like a volcano, when it erupts, it causes damage that makes permanent changes to the landscape. That’s our week at Tottenham. Muddling through twice against Hull would have in any other week generated moans and groans. Villas-Boas’s comments caused the red-hot magma of frustration to force its way to the surface and become something more solid. In themselves they were reasonably mild, as I said in my last blog. My problem was that it indicated his mind was on the crowd when it should have been completely focussed on his team and getting them to play better. In context, they were a tremor rather than a quake but enough to crack the surface. Sitting in the car on the way home, stuck in a jam and going the wrong way because of the changes to the road layout in Tottenham, they did not go down at all well with the Fisher family. Elsewhere, people let loose volleys of sour, bilious bitterness that have reverberated all week. I understand where it comes from. The club have brought much of it on themselves and I have little empathy with the PLC. However, it was all a bit much. All week I have been reading about how AVB should go because of results and because of the way we are playing. I’ve seen how this is the most boring Spurs team for many years, how it used to be different under Harry Redknapp, how money has been wasted. And this is what I don’t get. Frustrated at poor performances, yes. Knowing we could do better, I’m with you. Concerns about the way the manager has set up the team with the inverted wingers, it’s all here on Tottenham On My Mind. But it is crazy and wrong to describe this team as boring or as one fan said, ‘the worst Spurs team in memory.” Presumably this was written by a goldfish, because so help me Billy Nick I’ve seen some trash in my time, and I’m talking about sides that stayed comfortably in the top division. Redknapp indulged us in some glorious attacking football. I lapped it up, but tucked away in my memory are some awful efforts where, guess what, we did not perform to the best of our ability, were not set up properly and made worse sides than us look good. Norwich, Blackpool twice, Stoke, Wigan. It’s not even factually correct. Regular readers know I’m not one for stats but I also read this week that Spurs have the highest number of shots, average possession and percentage touches in the opponent’s third than any other Premier League team this season. We have also conceded very few goals but this is hardly the description of a defensive team. At the risk of repeating myself, I am not saying everything in the garden is as sweet as a Hoddle chip or a Chivers piledriver. We have an undoubted problem with where those final third passes are going – not to a Spurs player – and the midfield blend is a work in progress. Check my consistency if you like. That’s the thing about writing a blog, it’s all here. I’ve not changed my story after this week. It’s a new squad. Even the players who have been around for a while are surprising us with new form that can’t be ignored. Townsend, Holtby, Siggy and on Thursday Kane have all forced themselves into the reckoning. Lamela is just 21 and a long way from home. Eriksen – 21. There are others. The season has barely begun. We are fourth. Patience is a virtue but is in short supply in a climate of alienation. This creates the underlying tension and impatience. It skews time and space more effectively than an episode of Dr Who. Perspectives are twisted out of shape, rationality distorted, although that’s never been the core of being a football fan. There’s a danger of losing our bearings. It worries me that we are in danger of becoming like many (but not all) of the supporters of Chelsea, Arsenal and United. Their Old-timers get it but a generation has grown up used to success. In turn, this creates a sense of entitlement where the team performs for them, success is the norm and anything less than perfection is not acceptable. My end of season blog last time mentioned three Chelsea fans who called 606 as I drove home from Spurs. One slated Benitez because they were ‘only’ third and won the Europa League, a second said this was down to the players who organised themselves in spite of the manager and a third proudly declared he refused to go to Chelsea until Benitez left because a man of his stature wasn’t good enough for his team. Spurs fans aren’t like that, or so I thought. 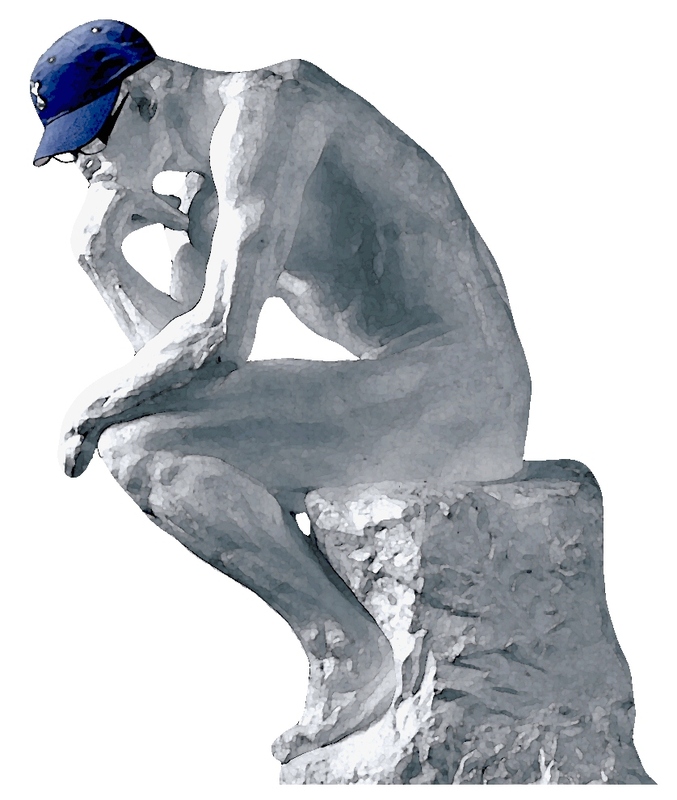 However, reading the social media this week made me question that. Underlying a substantial section of the criticism of the team and the manager is that same sense of entitlement and inflated expectation. I know we expect something back from the side because we spend a small fortune watching them, but I don’t want us to become like them. In this month’s When Saturday Comes, I’ve written a short article about the Y word. In it is a moment’s conjecture about what it means to be a Spurs fan. I reckon the use of the Y word has increased because Spurs supporters want to mark our distinct identity in a way that partly is a nod to our history and partly as a response to the taunts from our more successful neighbours. We’ve stayed in N17. We are loyal, not gloryhunters. Being Spurs is something profound, its not fly by night affection. The Y word began as unwarranted abuse from rival fans. We are still being abused and also ridiculed by fans of other clubs with more recent triumphs. We are different. We recognise our heritage and what happened before the Premier League. I don’t want that to change and we should be very careful, because alienation does not mean we have to be like all the rest. 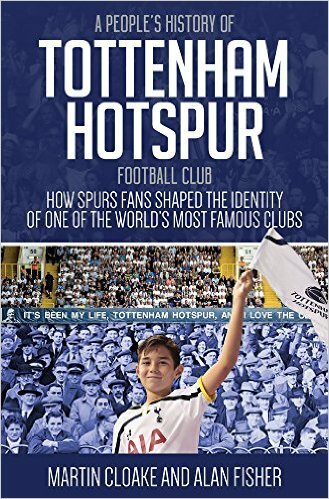 Next week, a companion piece to this and a review of Martin Cloake’s e-book about the recent history of Spurs supporters, The Sound of the Crowd. Thanks my friend, pleased it meant something. Brilliant piece, ticking many boxes. We should not allow ourselves and other fans to become gloryhunters. Even if we become a big club with a big stadium we should never forget who we are and what our roots are. Positivity is our sword, cheering is our warcry. Optimism is our life-force. delighted for a burst of optimism – our heritage is inspiring, the way forward. I’ll repeat what I commented on another site. Part of the problem with the quiet anxious crowd I reckon is, paradoxically, because we are doing better in the last few years. If your expectation is mid-table then home defeats, though annoying, are not disasters and to be expected. But when the hope and expectation is top four or better, then each defeat, especially at home, is a major setback. Particularly against clubs like Hull. Hence the nervous crowd when things aren’t going well. I agree. Expectations are higher because we have the squad to achieve more than we have been able to in the past. I include Redknapp’s Spurs in this era, by the way. Paradoxically it causes problems of even higher and perhaps unrealisable expectations. A really well-written piece, Alan. Your judgments show a good balance. It’s having supporters like you that make our club great. A brilliant article…. Well put and well said …. I think we might be the victims of rent-a-mob …. Onwards and upwards COYMS !!!! As always, you’re the thinking man’s Spurs fan, Alan. Perspective and common sense conveyed with typical style. Much appreciated Barry, very generous. Of course we are Glory hunters! Glory is everything that IS Spurs, and always has been!. Glory isn’t always about the winning, and it’s not about ‘demanding’ expectations! Glory is about the ‘hopeful but driven’ expectation, the fight, the flair, the oneness with team and crowd, the up-against-the-wall mentality and the blood, sweat and tears of glorious defeat. ‘If we become a big club with a big stadium’!? What the!! .. We ARE a big club! We know our roots and history and, from that, glory and greatness came. Even in our worst years in the mid to late 1970s, and our mid table mediocrity in the PL until the last 8 years, we were never out of the top seven or eight clubs in England and Wales. Since the 1950s and through to the early 1990s we were always part of that big FIVE (Man U, Arsenal, Everton, Liverpool and us). Chelsea, City, and possibly Newcastle joined that elite in the 1990s. Big stadium? I was locked out of Spurs on 3 occasions when I was a boy, with over 60,000 at the Lane ..once when playing Millwall (2nd Div) in the 3rd round replay of the FA Cup on a cold Wednesday night in January 1967 (the year we won the Cup). Our stadium was big, our club was big and the crowds roared consistently (I could even hear it a mile away as I made my way back sadly, at 14, to Manor House that night ..no Seven Sisters Stn back then ..and to a train taking me all the way back to Harrow). Our stadium simply shrunk crowd wise in later years as safety, but with little extra space to work with, took priority. Look, the point is, is that the above comments from SIIOB suggest we’ve NEVER really been there! Yet we are ALWAYS there, and ALWAYS seeking (or hunting) GLORY It doesn’t just happen ..otherwise it would be associated with all other clubs. Yes, the final stage is to, once again, have a BIG stadium to reflect all this ‘latest’ success ..and that’s part of our glory hunting/expectation too. Anyway, I agree about the optimism and being positive (it’s always been so), and nervousness certainly shouldn’t be part of our crowd interraction. We have unparalleled patience and, as Spurs fans, always should have. But maybe we are a little more self conscious as fans than we used to be, or maybe many in the crowd are not always the truest of fans ..eg corporate, day trippers, one-off specators etc. Seating has changed things over the years, so perhaps, when we get our big stadium back we’ll have some safe standing sections ..some cheaper ticket prices with fairer distribution ..a limit on ticket holders selling tickets for certain matches at a profit and so on. Meanwhile, we have to find and force our voice, but let our team get their ‘final third’ act together properly, and give the fans no excuse not to cheer! Thanks for adding to the debate, Chris. Good read. Superb thoughtful piece and a good counterbalance to the drivel from those with no memory. Think back…..remember those teams with Gary Doherty or Andy Booth or Gregor Raziak or Ben Thatcher or …….I could go on but too often we have had 2-3 very good players and surrounded them with mediocrity. Now we have a squad and a manager who are all improving and developing. It doesnt happen overnight……look at the Ranieri years at Chavski or Hughes time at Man City. We are taking two steps forward and one step back but progression is obvious. Is Paulinho better than Parker….Capoue better than Livermore…..Soldado better than Defoe……..Rose (potentially) better than Benny…..the one we havent replaced is Bale despite Townsends best efforts. So that should have set us back by more than it has……yet we have more points than at this stage last season and we are learning to be a team again instead of a Bale-feeding collective!!! That’s the way to spoil a Saturday night – remembering our excitement when we signed Andy Booth completely forgot him ….COYMS!!!! Have to be positive, not through wilfulness but because there’s real cause for optimism. Time to get the team to bed in. As always Alan, brilliant read and well thought article. ahhhhh…..i feel at piece now…..well written and voice of a true spurs fan…sick of media slagging (from so called fans)…..beat toffees and we’re 2nd???????????????????????!!!!!!!!!!!!!!!!!!!!!!!!!!!!!!!!!!!!!!!!!! One of the best pieces if writing about Spurs that I have read in a long time. Supporting a club isn’t just about chasing success. I wonder how that Arsenal fan on YouTube feels now. We support our club because it makes us feel a part of something bigger than ourselves. We are part of a crowd of 35,000+ cheering on not just the team playing in front of us but all the Spurs teams that have ever played in that kit. When I go to games I’m still the 12 year old who went to his first game with his Dad in 1976. I’m more interested in what a Man U fan who was supporting them in the 70s when they were relegated to the old Div 2 has to say than anything someone who only knows the Champions League thinks or says. We seen some rubbish at the Lane and not so long ago. Those who are complaining now dig out those programmes from 10-12 years ago and check the team sheet. It feels like there is something missing at the moment. We are playing with the handbrake on but we are Spurs and that’s all that matters. Fascinating article and something I’ve thought about a lot. I think there is something about the expectations at the moment but I do believe that we are starting to see the effect of the high ticket prices that have been forced on fans over the last 10 years or so. The average age is going up, young adults can’t afford a season ticket on their own and many families are priced out unless there’s a family deal for a minor match. In our area we also see quite a few soccer tourists i.e. they’re in London and want to see a match. Nothing wrong in that but they tend to watch the game quietly. I’ve seen the same thing at concerts, the crowds are more well heeled and less involved in what they’re watching. I went to see a concert recently and some people seemed more interested in their mobile phones despite paying £50 for a ticket. On the playing side, I think there’s so much to be positive about at the moment. This side is slowly but surely finding its feet. Lamela showed us his potential for the first time on Thursday. Losing Bale would have normally meant another season of mid table mediocrity in times gone by. Instead it’s opening up a whole new chapter. COYS.